Very much a strong lilac color. Finished look (post baking) is absolutely gorgeous. Whereas some Premo! 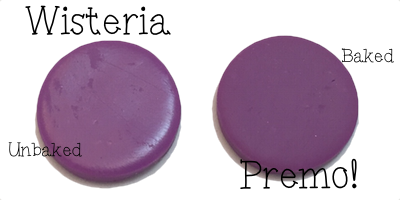 colors maintain their sheen post baking, this color is completely matte and has no sheen post baking. Use with Wasabi and Sunset Pearl.